Item number 732/3 from the MOA: University of British Columbia. 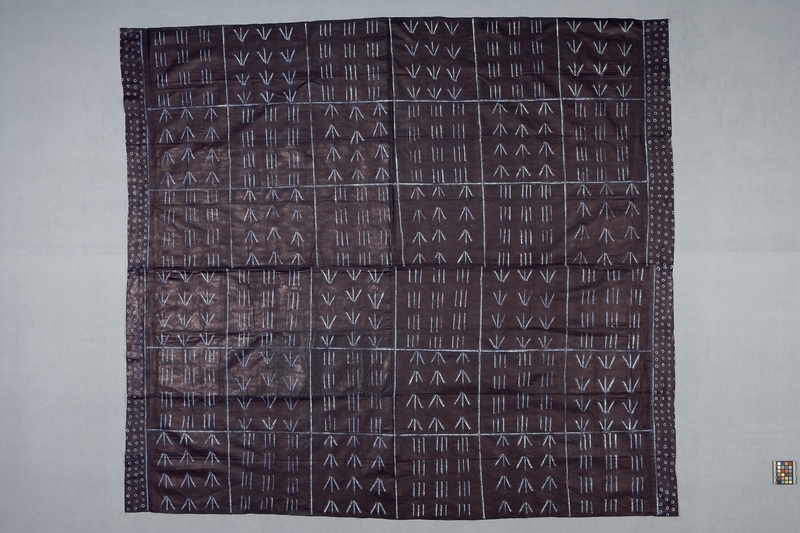 Textile composed of two rectangles of fabric joined together and divided into squares of pattern grouped in sections of four rows and three columns. The lines are either parallel to each other or the two at the sides slanted inwards towards one end of the centre line. 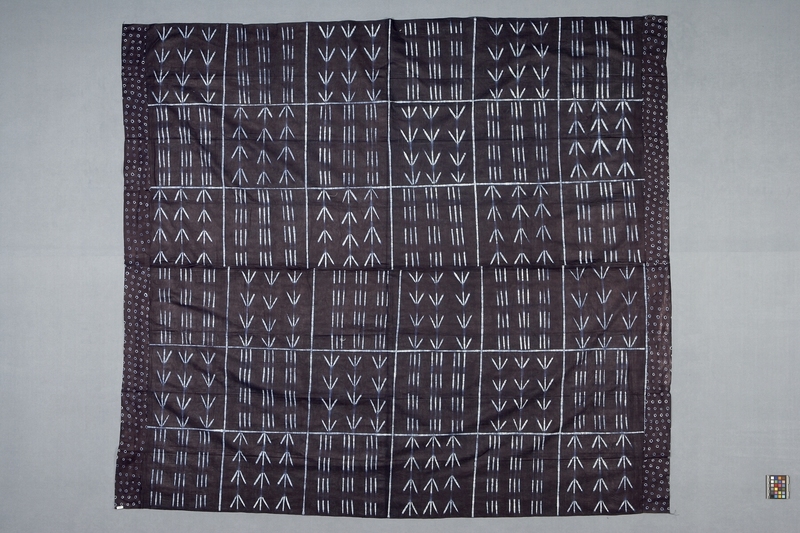 The pattern and dividing lines are in white to light blue on a dark indigo background. Bordered at two ends with a design composed of rows of small, rough circles. The fabric has a slightly shiny surface.